Disseminating information about existing standards. It will please you to know that CARICOM shares these goals. Last month, at the 28th Inter-Sessional Meeting of the Conference of Heads of Government of the Caribbean Community in Guyana, my fellow leaders approved a draft roadmap for the region’s single Information and Communications Technology (ICT) space. This single ICT space will allow for harmonised policies, legislation, regulations and technical standards. We expect that this space will create affordable networks which are of tremendous benefit to Caribbean consumers and businesses. This is critical to accelerating the implementation of the CARICOM Single Market and Economy (CSME) and will be a driving force for social and economic development in the region. From a Trinidad and Tobago perspective, we see the ICT sector as critical to our National Development. High on our agenda is enhancing digital literacy and developing the skills to enable productivity and innovation for our population. Ultimately, the ICT sector is expected to enhance the quality of life of our people. So while we invest in networks, infrastructure and markets, we also have to invest in human beings. An e-ready country necessitates that ICT’s must be seen as tools to be used in all aspects of social, educational and business life. We must see ICT learning as not merely learning how to use computerised machines and manipulate software. It must be seen as a mechanism for providing solutions to both mundane and complex problems. We are also investing in tertiary educational institutions such the University of Trinidad and Tobago and the University of the West Indies to produce the necessary skilled cadre of entrepreneurs and innovators who can meet the technology demands of the present and the future. Regarding fixed line Internet subscriptions there were 282 thousand which represented a penetration rate of 66% of households. Our Pay TV subscriptions number 204 thousand which means a penetration rate of 49% of households. We see advancing the deployment of ICT infrastructure as key to supporting securely connected people, businesses, and the wider government infrastructure. One of the key factors in making this a reality is an effective and proactive regulator. To this end I must commend the Telecommunications Authority of Trinidad and Tobago for being a regulatory exemplar for the both their successes in creating an open market for telecommunications and broadcasting services, including conditions for fair competition, at the national and international levels as well as well as for furthering the discussion on new and emerging trends that will improve the local and regional markets. 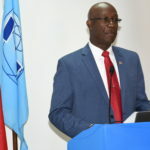 The Government of Trinidad and Tobago will also be working feverishly to ensure the full proclamation of e-legislation with supporting rules and regulations in the not too distant future. These pieces of legislation include revisions to the Exchequer and Audit Act, the Data Protection Act and the Electronic Transactions Act. Key amendments to the Telecommunications act are also on the Government’s legislative agenda. Market operators and prospective investors in high speed broadband access network infrastructure will need to be assured that our regulatory and legal framework is relevant, modernized, unambiguous and most of all fair. Another crucial element of the Government’s agenda is ensuring the use of ICT to transform the delivery of public goods and services and achieve institutional strength and capacity. Enhancing Public Service delivery will better integrate Government with well governed processes and quality outcomes directed at improving operational efficiency and customer service satisfaction. A reader of the Government’s Public Sector Investment Programme for 2017 will quickly realise that ICT continues to be key to the effective delivery of public goods and services. This is highlighted by the investment of $143.1 million in ICT infrastructure under the Public Sector Reform Computerisation Programme. Several Ministries and Departments continue to benefit from this thrust. For example at the Trinidad and Tobago Coast Guard, work is progressing on the supply, delivery, installation and commissioning of two suites of Global Maritime Distress and Safety System Equipment also known as GMDSS. One of the benefits of the GMDSS is that it be easier to rescue distressed marine and aircraft as is it an internationally agreed upon set of safety procedures, equipment and protocols. As a twin island state with heavy business and recreational users of our coastline, this is crucial. 3) equipping of eleven (11) police stations with the Livescan system which capture fingerprints and palm prints electronically. 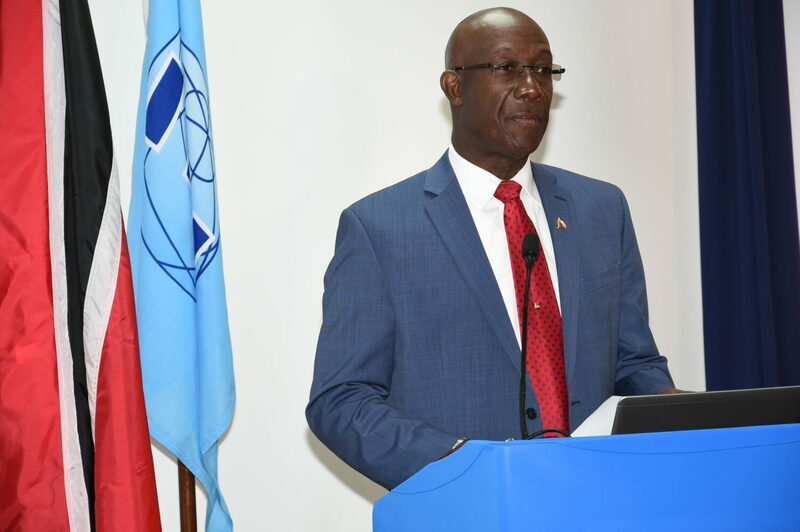 The vision is that ICT will connect Trinidad and Tobago and enhance service delivery to improve citizen satisfaction. The vast majority of Government units now have an online presence, with Ministries and Agencies having websites supported by GovNeTT. Ladies and gentlemen, Government has embarked on an initiative to provide free Wi-Fi access to the public. This initiative: TT Wi-Fi is in line with government’s vision to provide free and easy access to broadband internet in public spaces. TT Wi-Fi is available to all users with a Wi-Fi enabled device, including smartphones, laptops and tablets. Phase 1 of this project was launched in August 2016 with hot spots being available on 13 (thirteen) specific Public Transportation buses: twelve (12) in Trinidad and one (1) in Tobago. Phase 2 would entail the provision of the broadband service through the service providers and the Telecommunications Authority of Trinidad and Tobago. Phase 3 will comprise the establishment of hotspots along the Brian Lara Promenade in downtown Port of Spain. stage of our development. Countries around the world are leveraging Information and Communication Technologies (ICTs) to ensure their next leap towards socio-economic advancement. For Trinidad and Tobago, our intention is that the next leap will take the country to “first world nation status”. Ladies and gentlemen, I thank you for your attention and I wish you all a productive and informative session.